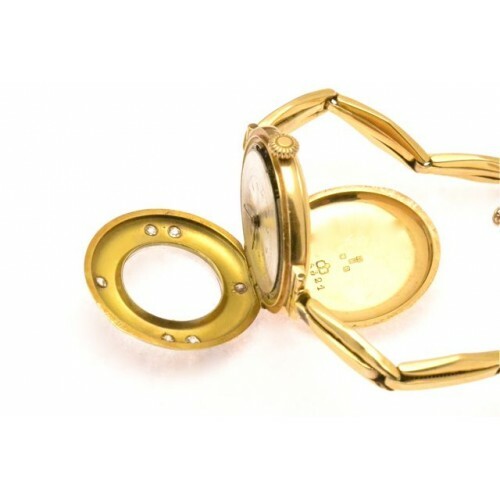 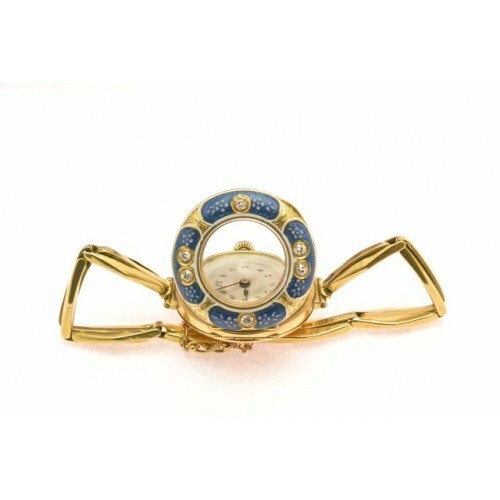 This is a unique piece of jewellery dated cira 1920. 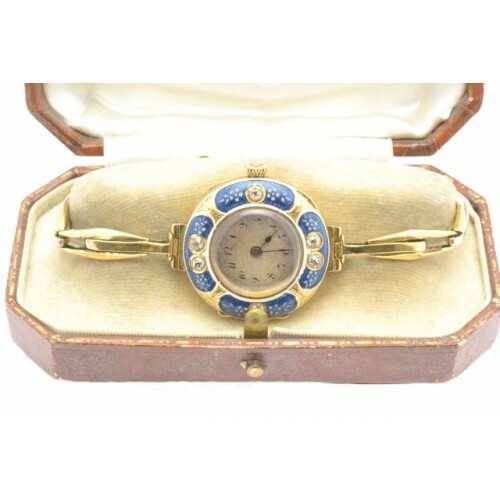 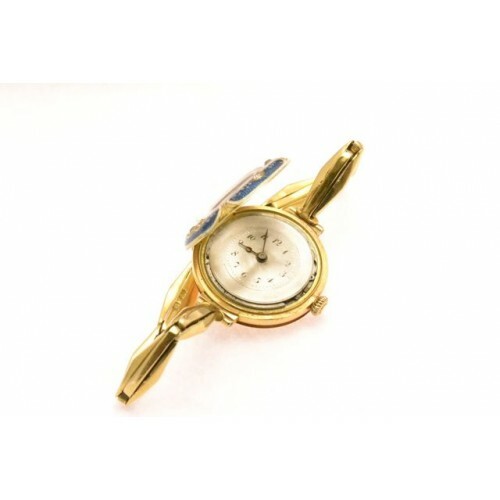 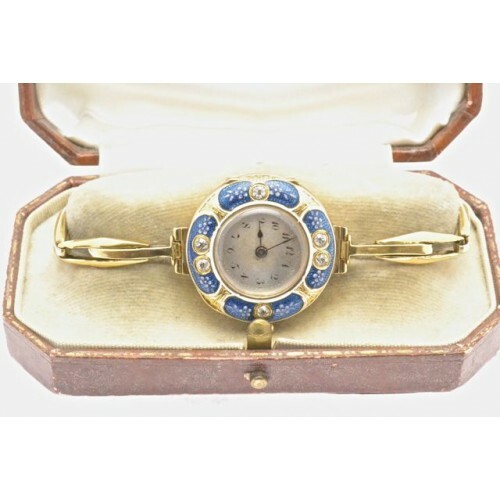 The bezel has four panels of blue enamel with an exquisite white floral relief, with six old cut diamonds in a rub-over setting on a gold gate style bracelet. 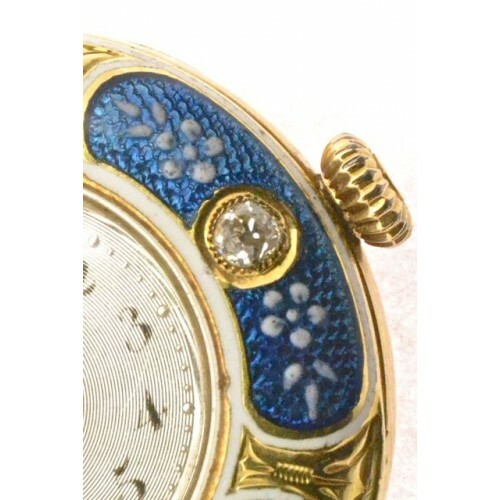 A really beautiful piece.